It was Halloween. I had just picked the kids up from school and I realized that we had ZERO candy to hand out to trick or treaters, so I made a quick stop at Walmart. I walk in there with all 4 kids and we are amazed to see a huge crane right inside the main door. We stop to look because, who are we to pass up free entertainment? After a moment we realize that the crane and a whole team of people are busy taking down the Halloween decorations, so they can immediately put up Christmas decorations. Why can’t it be Christmas here? Because it isn’t Christmas yet! And it won’t be Christmas until December 25th–nearly TWO MONTHS after the date we saw them hanging decorations and setting up an enormous blow up tree at our local Walmart. Each year we as Catholic Mothers fight the battle of Advent. How do we protect and promote this season when the whole world is already celebrating Christmas? How do we teach our children to wait…and how do we have the discipline to wait ourselves? I don’t have all of the answers, but I am determined to help, sisters! 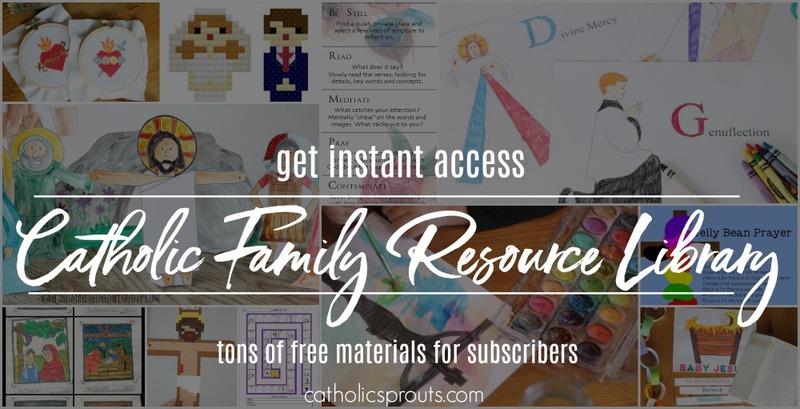 I have spent a lot of time over the years putting together a TON of Advent ideas for Catholic Families, and I just put together another one: ADVENT COLORING PAGES FOR MOM AND ME. Coloring continues to be an activity that the kids love and I enjoy doing with them. It is simple, enjoyable and a great time for discussion. For this reason I put together a simple Advent Coloring Book for Catholic Kids. The book is full of fun things to color that keep a child’s mind in Advent. It also has some simple explanations that can be read together to explain why we wait and what we can learn about God through the waiting. The image below includes pictures of the pages for the first week of Advent. In the coloring book for kids, each week of Advent is assigned a virtue God wants to teach us: Hope, Peace, Joy and Love. The pages for that week of advent explore that virtue and a symbol assigned to that virtue. 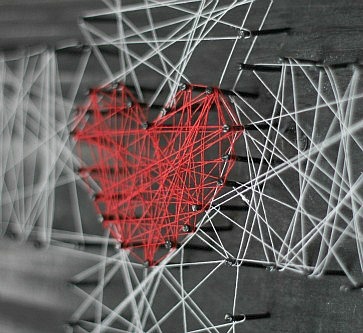 For hope we look at the symbol of a candle, for peace a wreath, for joy a star and for love a gift. 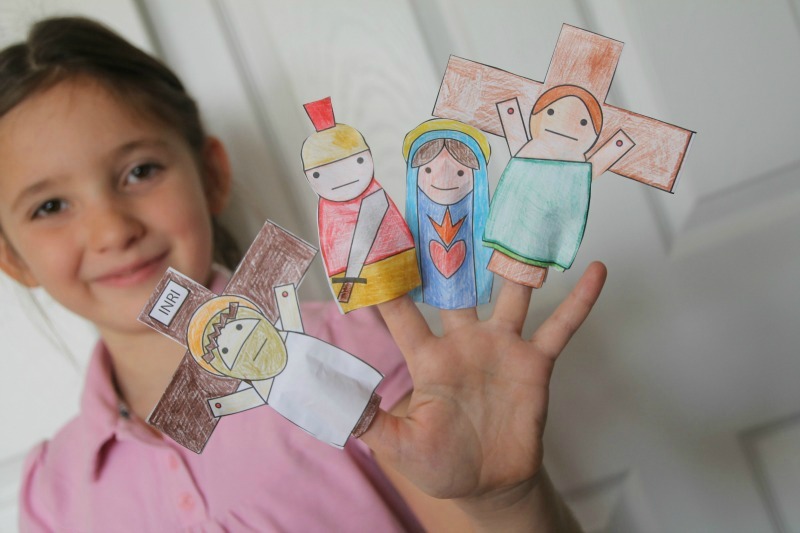 Each week concludes with a little prayer and once your family arrives at Christmas the children are encourage to present their Advent Coloring Book, and all the waiting the kids, to Baby Jesus as a gift. But what about the moms? We need help waiting too, right? Advent is a wonderful time to slow down and recommit ourselves to our prayer routines. It is also a wonderful time to spend more time in God’s word. A few years ago I got into coloring to help me stay in and reflect on God’s word. I wish I was naturally talented enough to write out scripture verses in beautiful calligraphy, but I’m not–and I’m not disciplined enough to learn how! 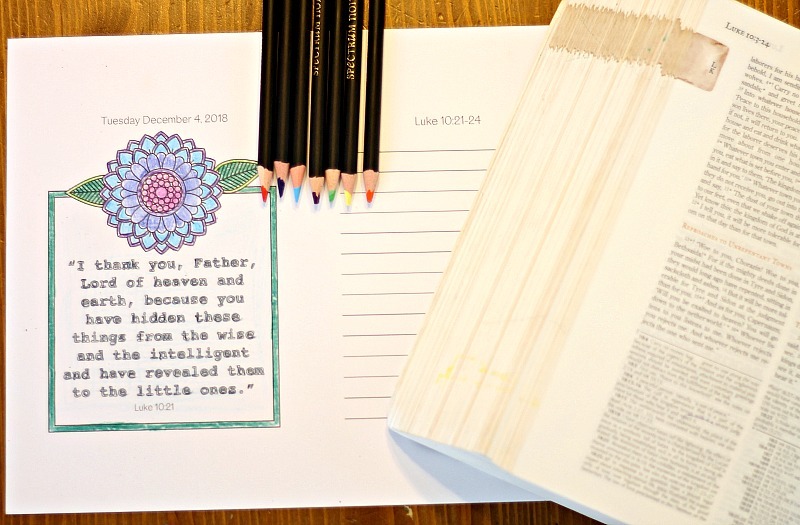 Instead I like the gentle, easy approach of coloring, which is why I created a set of coloring pages for the 2018 Advent Season. 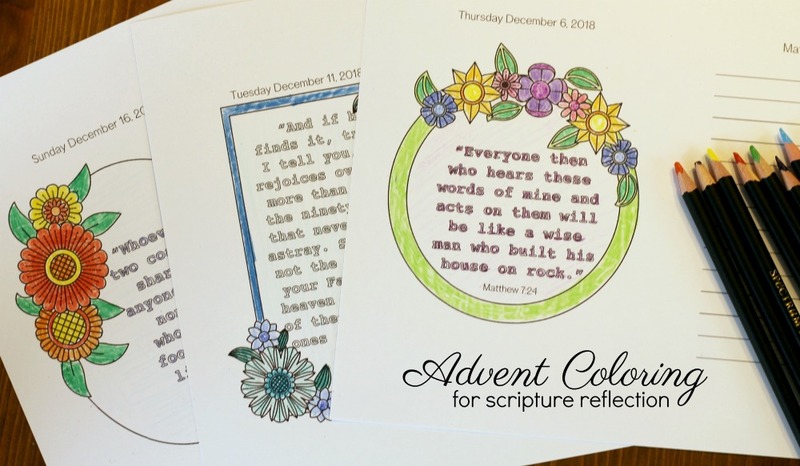 This set includes 24 pages to color (since Advent is 24 days long this year). Each page features a verse from that day’s Gospel as well as a floral element that you can color as you reflect. This year I also added the full citation for that day’s Gospel reading and many times to write your thoughts during prayer. 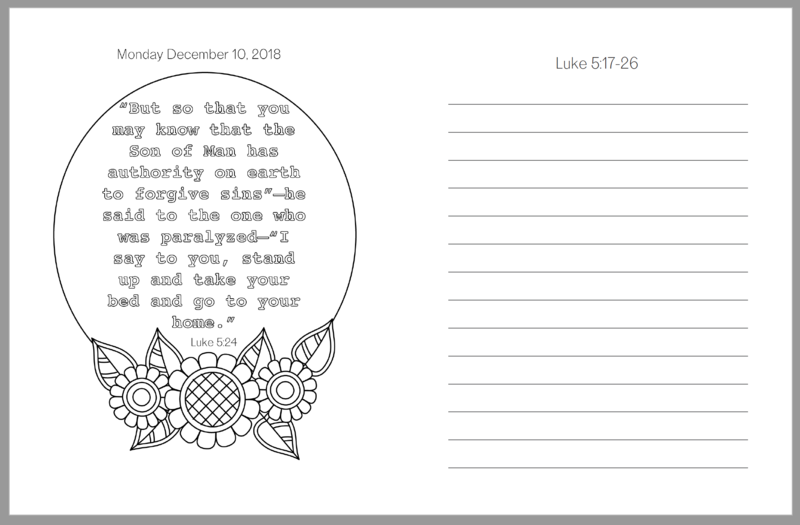 Like the Advent Coloring Book for Kids, the Advent Scripture Coloring and Reflection pages for Mom are a digital product. Once you purchase they for $7 you will be able to save them and print them as many times as you like. I hope these actives are helpful as you fight the battle of Advent. I am excited to use them in my own home, with my kids and during my morning prayer time. I’m on a mission. A mission to increase Marian devotion through the Rosary. The mission began with me. After making a Marian Devotion, I have committed to praying a daily Rosary, with this community as one of my intentions. Next, my family. The Rosary will be a central focus for us this Lent. And then, the world. To this end, I created a beautiful little Rosary Booklet with the hope that I can get it into as many hands as possible and help as many people as possible dive deeper into the Rosary and turn more completely to Our Blessed Mother for love, guidance and mercy. And, I’ve decided to sell the PRINTED BOOK for only $10. 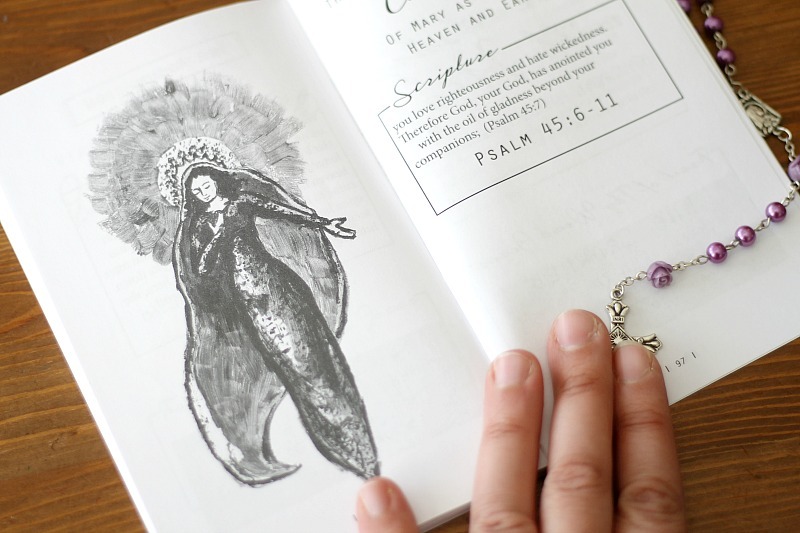 Got a big group you’d like to buy Rosary Booklets for–your women’s group or extended family? The price is already as low as it can be (remember, this is a PRINTED BOOK), but for orders of 10 booklets or more, I would be happy to cover the cost of shipping for you. To arrange orders this large, please email me directly ([email protected]). You see, something terrible happened to my family on Thanksgiving Day. We lost our little Max, whom I had carried for 20 weeks. It was terrible, and in many ways we are still reeling, but amid that suffering I was able to experience Mary, really powerfully. I asked her to be beside me and she was in the realest way possible. And for that I will never cease to be thankful. It breaks my heart to think that so many people face pain and suffering without Mary at their side, especially when she is so willing to fly to their side, if only they call. So, I am on a mission to increase Marian devotion through the Rosary. And, because I am on a mission, I’m offering the booklet (yes, the PRINTED BOOK) for just $8, $15 if you buy 2, because I really, genuinely want you to know and love Our Mother better. Even if I go into debt over this, even if my entire online platforms comes crumbling down, if I help one person know Mary better, than it will all be worth it. 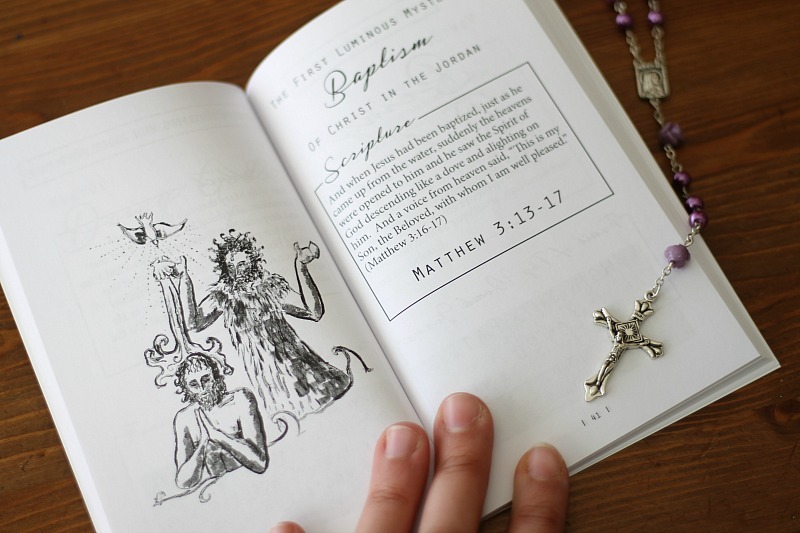 Creating this Rosary Booklet has been an utter labor of love. 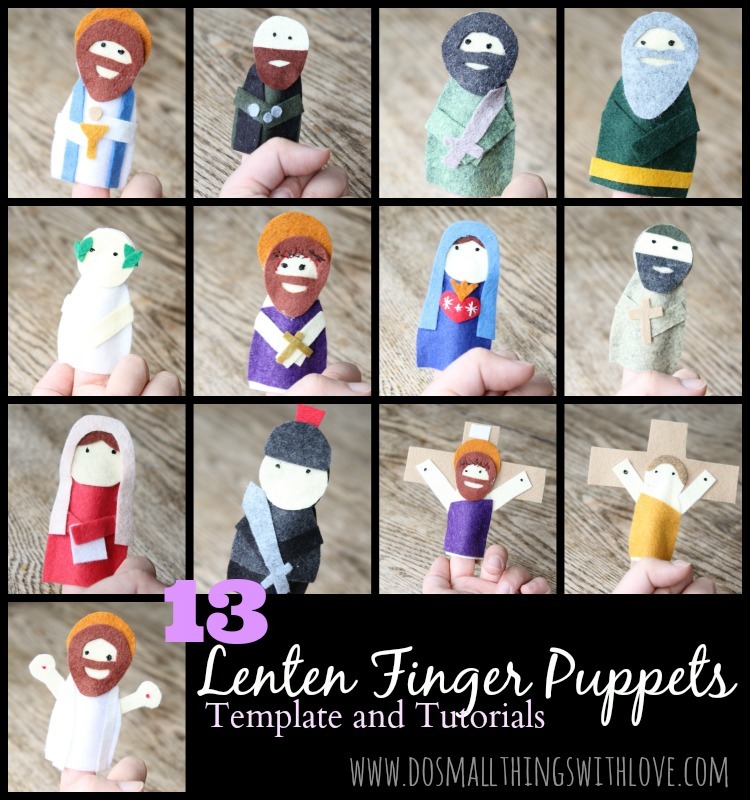 I partnered Annie from Paper Monastery. I wrote the words, she created the art and I genuinely believe that Mary took our meager talents and made something beautiful. Here is a look at a few of the pages. Didn’t Annie do an incredible job? 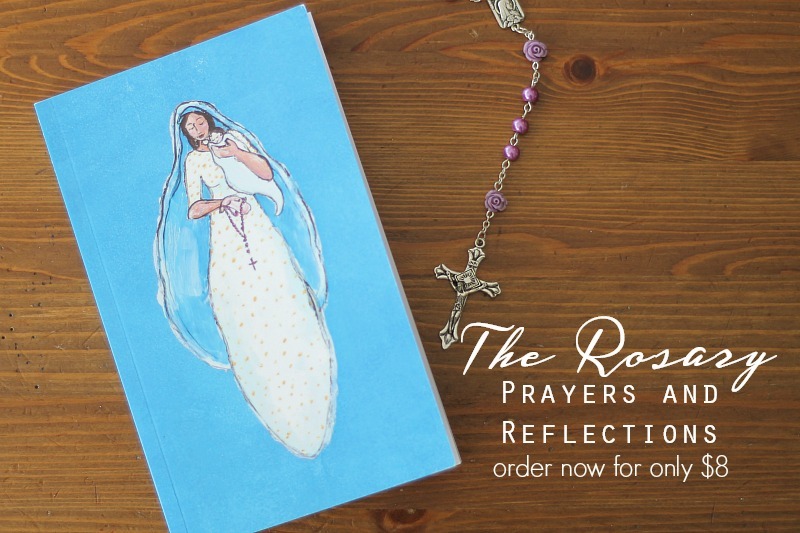 The booklet includes an introduction with clear instructions for praying the Rosary, as well as a powerful explanation for why we pray the Rosary. The booklet also includes all of the words of the prayers of the Rosary, so it is great for those just learning this powerful prayer. 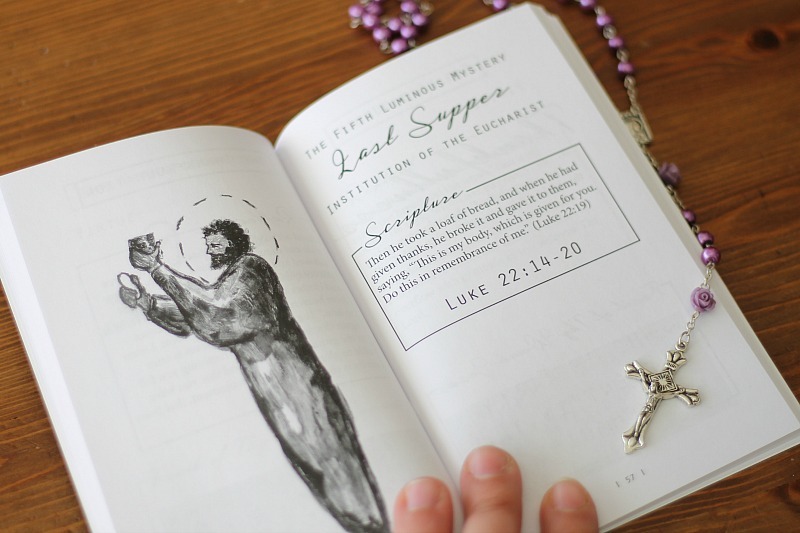 But, the booklet is also great for those that have been devoted to their Rosary for years. There is also plenty of white space to give your mind room and to add notes if desired. As I said, the booklets cost only $10. I priced the booklets so low because, well, I’m on a mission. I am determined to get one of these booklets into the hands of ANYONE that will use it. But I need your help. Who do you know that could benefit from a closer relationship with Mary (ummmm, everyone?). 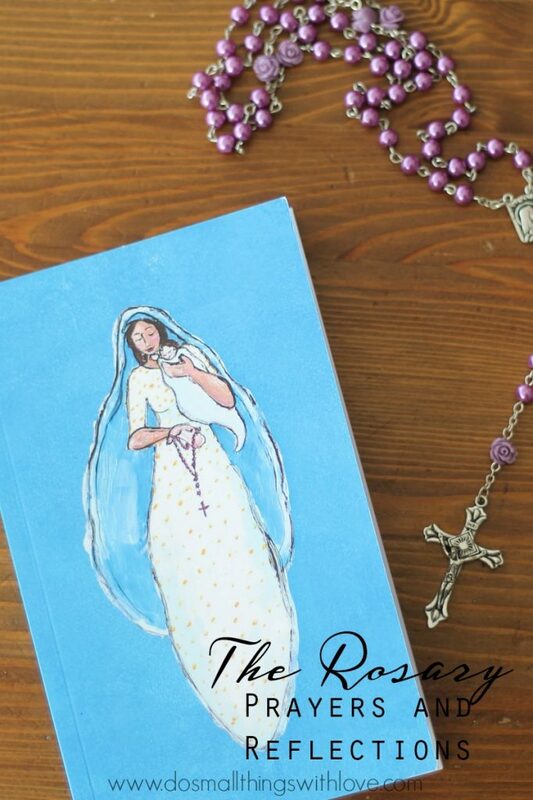 Please, consider purchasing not just one, but 2 Rosary booklets. One for you, and one for someone you love. Give them the book and pray that they will use it to pray the Rosary. Because Mary is just waiting for us to call on her and when we do she will fly to our side. The price of the Rosary Booklet will be increased to $10 on March 1st. The current price does not include the cost of shipping…but don’t worry. The book is light. Less than $2 to ship most places in the USA. 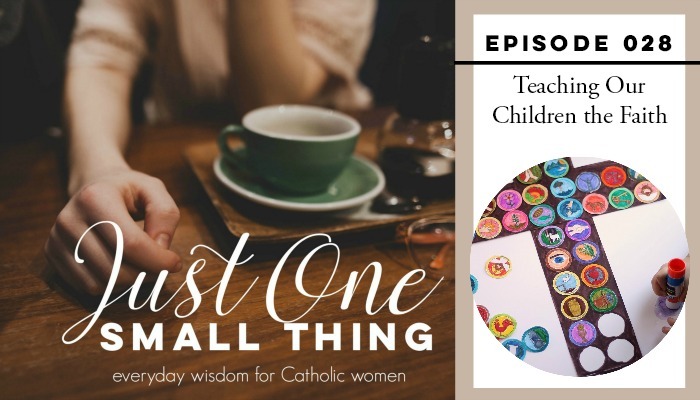 Today’s podcast addresses an issue I hear about from Catholic Mothers all the time: How do I teach the Faith to my children? I hear this all the time, often from very faithful women, who just worry that they aren’t doing enough. I get it. I often struggle with those feelings myself and, in a way, it is GOOD that we feel this way. 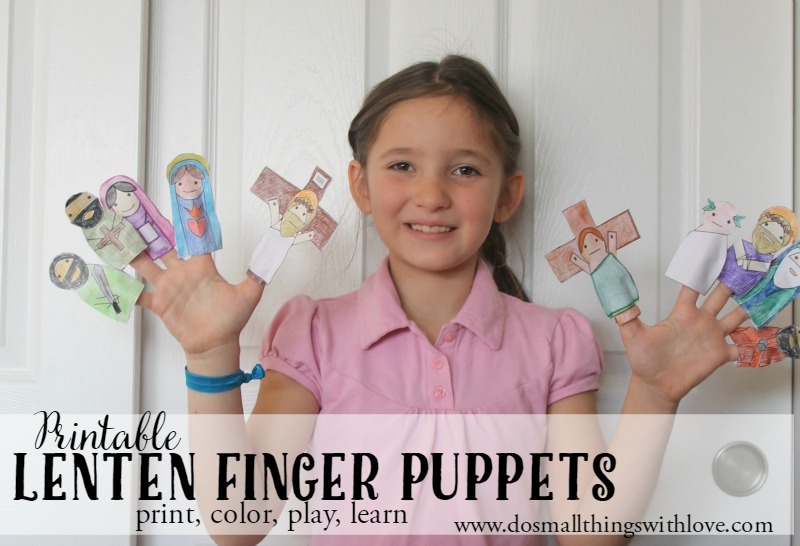 Teaching our children the Faith is a big deal. In fact, it might be the BIGGEST DEAL there is. Our Number One job as parents is to see to the salvation of our children’s souls. We work for their salvation through prayer, but also through direct instruction and setting a holy example. I talk about all of this in today’s new podcast episode. In this episode, I chat about 4 major ways that we can teach our children the Faith, and only the last point involves any sort of direct, pinterest-worthy instruction. Since I only have little kids (my oldest is in kindergarten), most what I share probably applies best to little ones. But, I really believe that when attempting to directly instruct children on the Faith it is best to use activities that invite conversation. Present them with a Catholic image to color or look at or create in perler beads. Then, ask provoking questions and answer any questions they might have. And above all else, demonstrate your faith and love for Jesus and His Church. And finally, please don’t be so hard on yourself. If you are taking your kids to mass, praying with them every day, and demonstrating the Catholic understanding of suffering in your daily life, you are already doing A LOT to teach your kids the Faith. Ask Mary, Our Mother, to help you be more perfect in this area, but also believe that you are doing a good job.